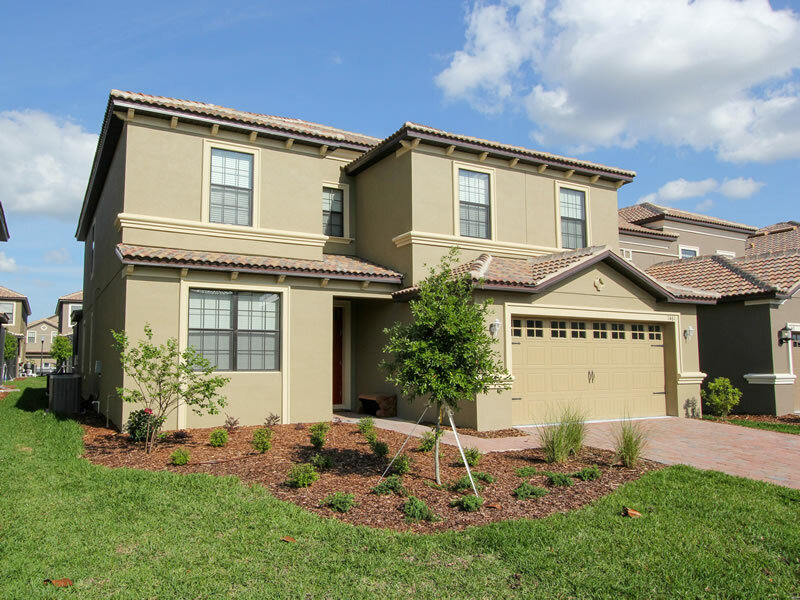 This stunning 6 bedroom, 6 bathroom home, located in Champions Gate, is sure to be the perfect vacation rental home on your next trip to Orlando. 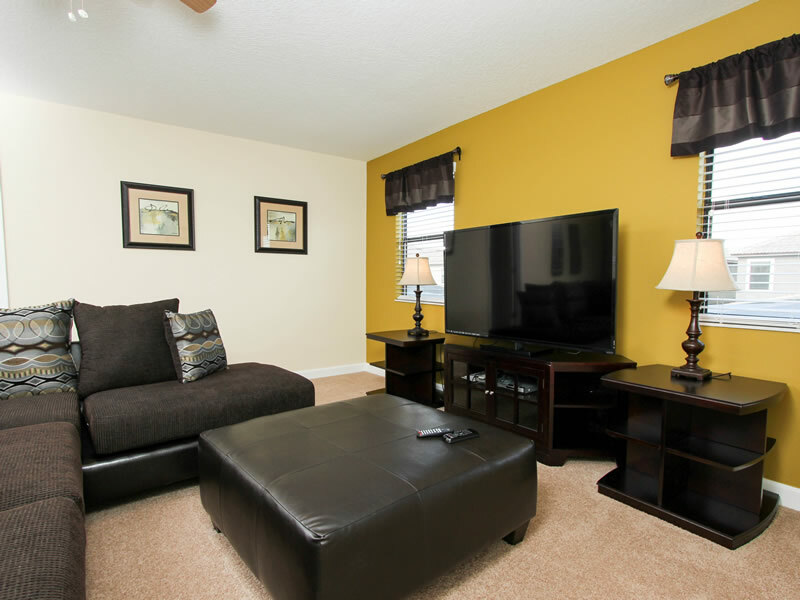 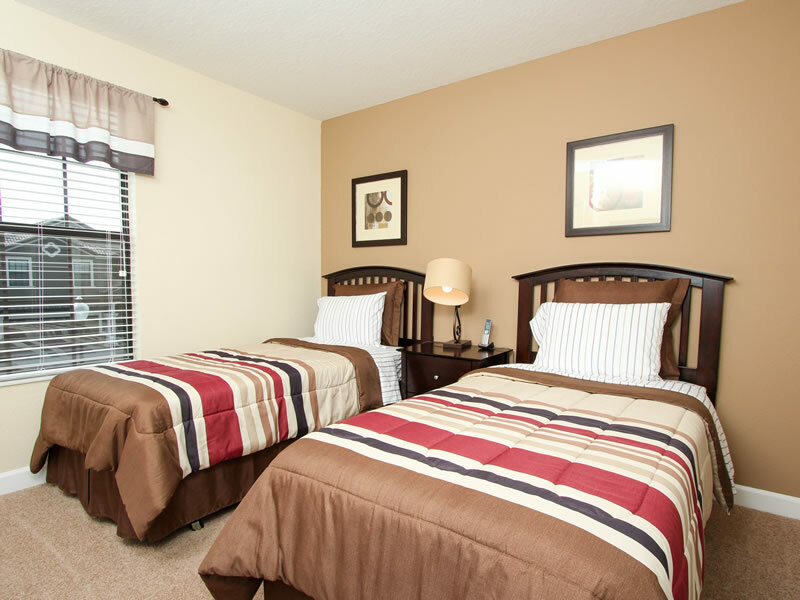 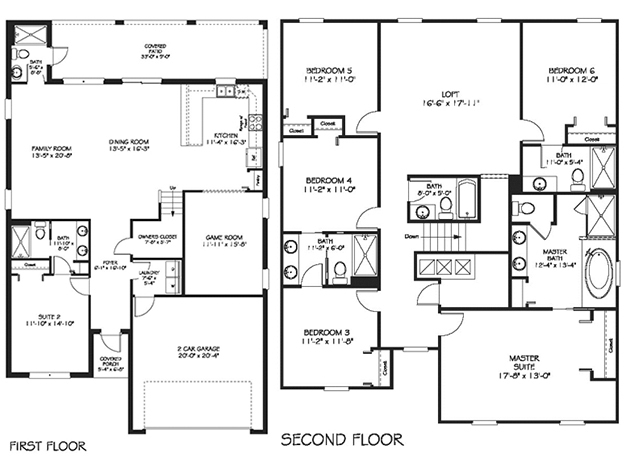 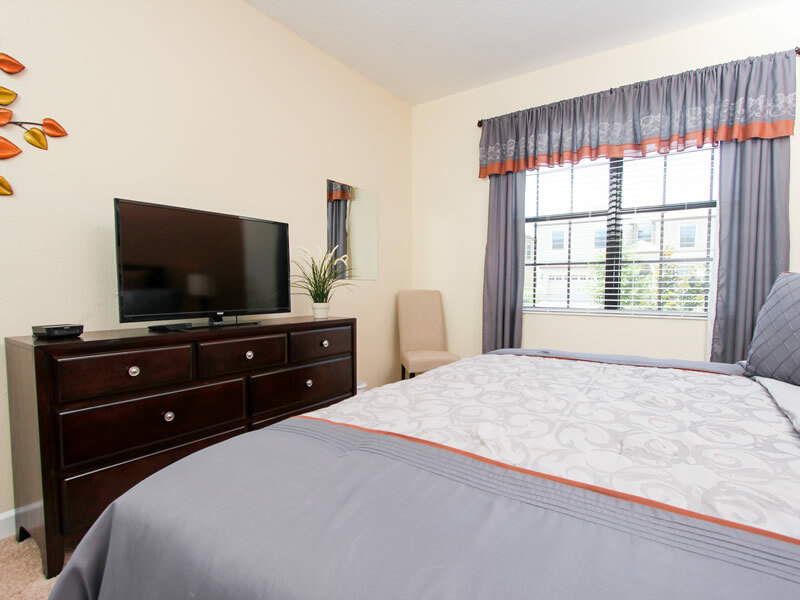 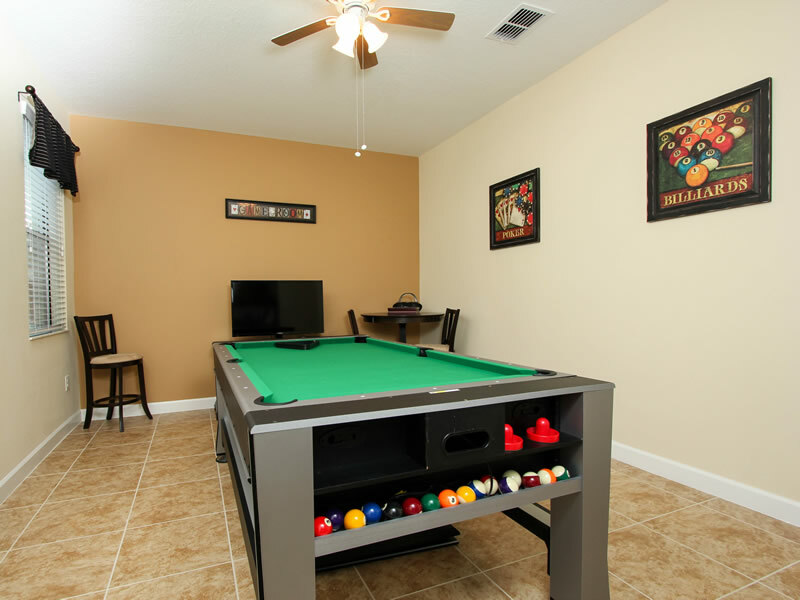 Besides having plenty of bathrooms (so everyone can get ready at their own pace), this home boasts two 60'' flat screen TV's, a game room featuring a combination game table with billiards, air hockey, and table tennis along with wireless internet. 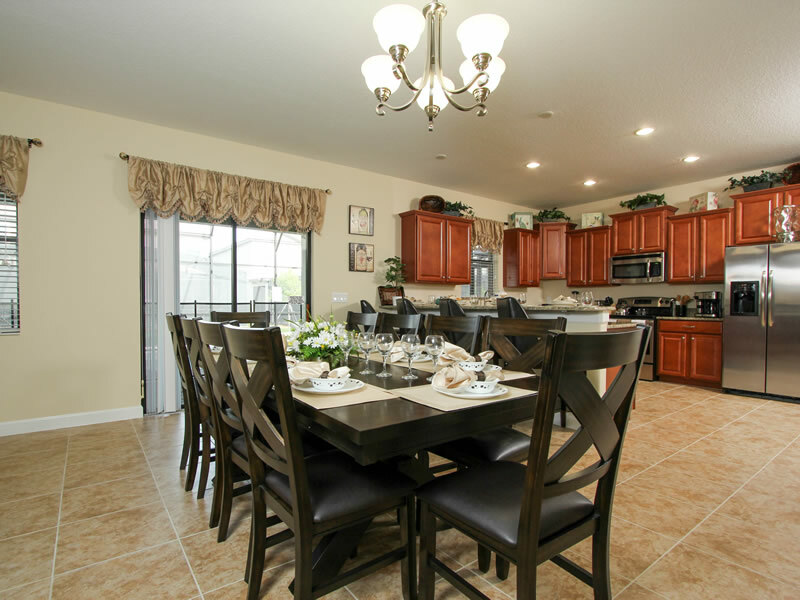 The home is tastefully painted throughout and is enhanced by the rich brown leather furniture, a huge dining room table for enjoying meals together, along with extra seating at the kitchen bar. 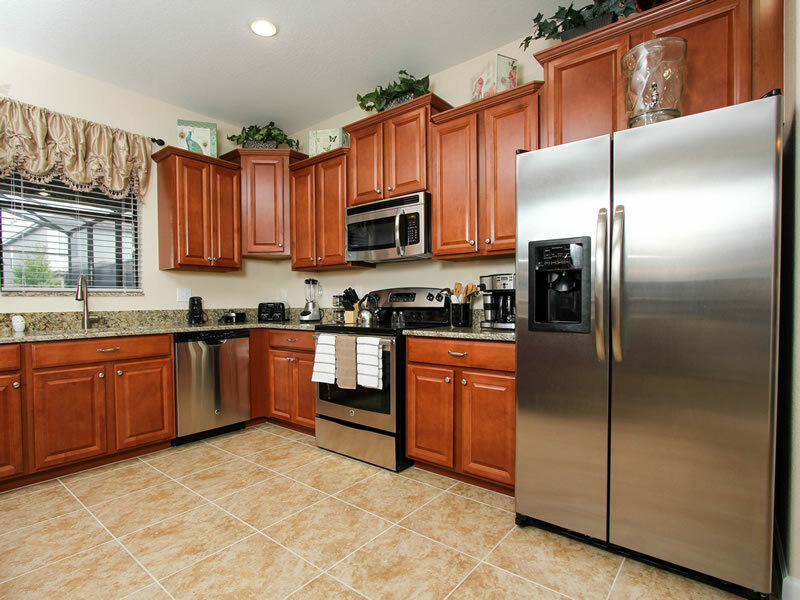 Speaking of the kitchen, it features granite counter tops, upgraded large tiles, cherry wood cabinets and stainless steel appliances. 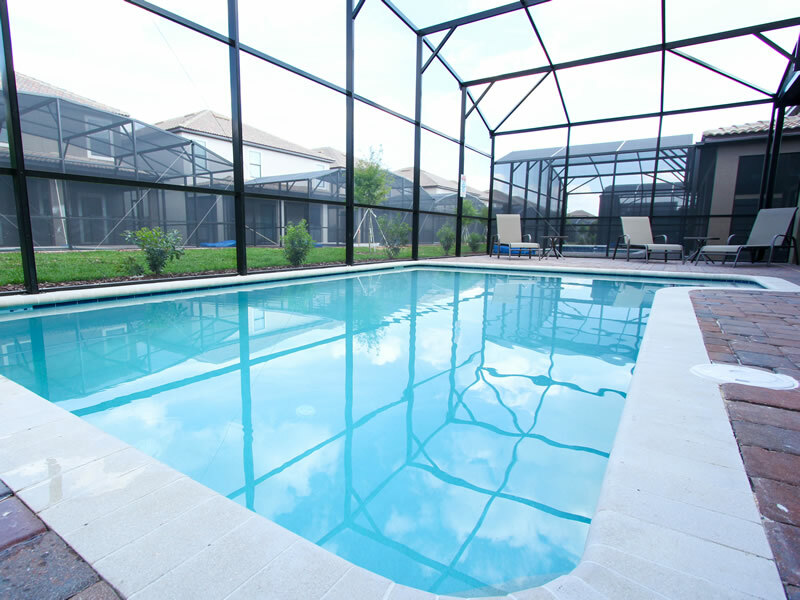 The pool is perfect for cooling off and the chaise loungers are ideal for catching some Florida sunshine. 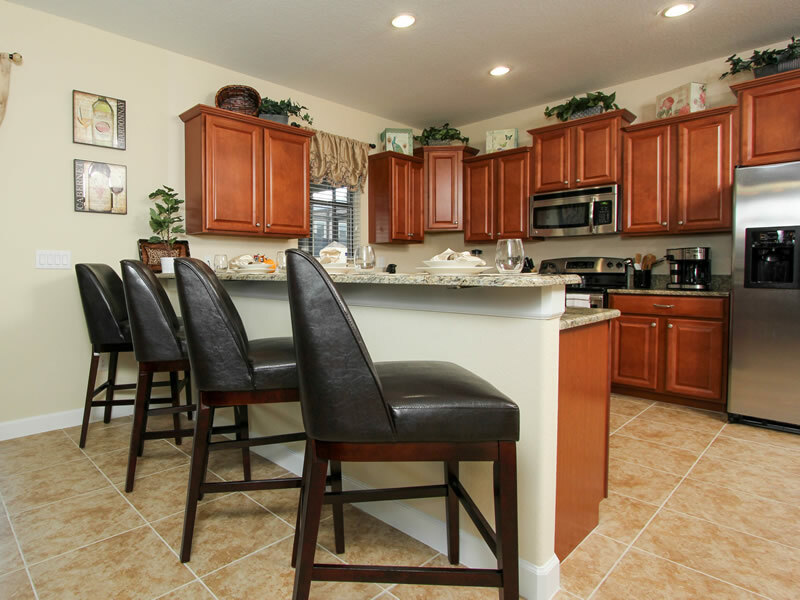 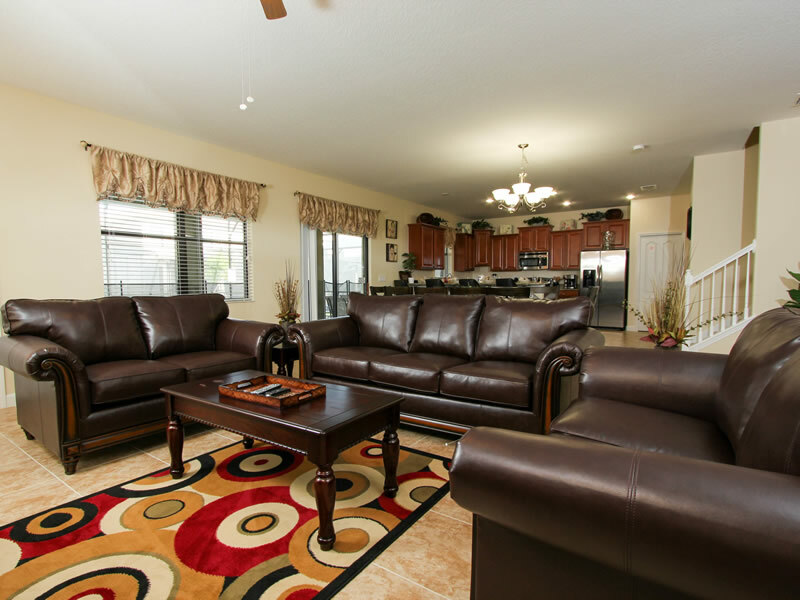 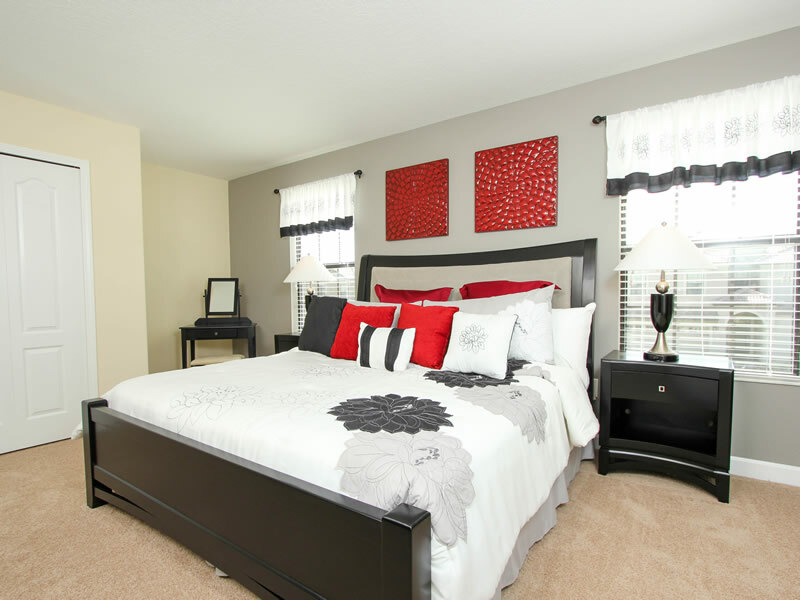 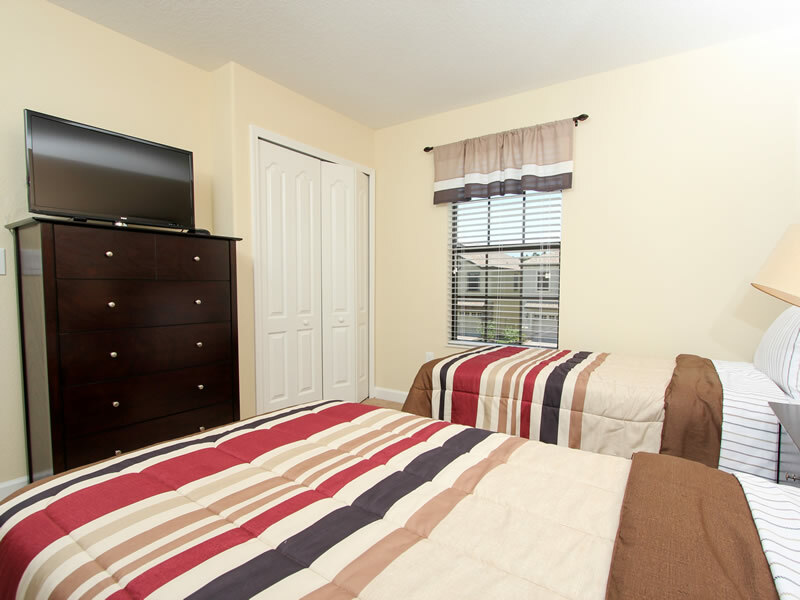 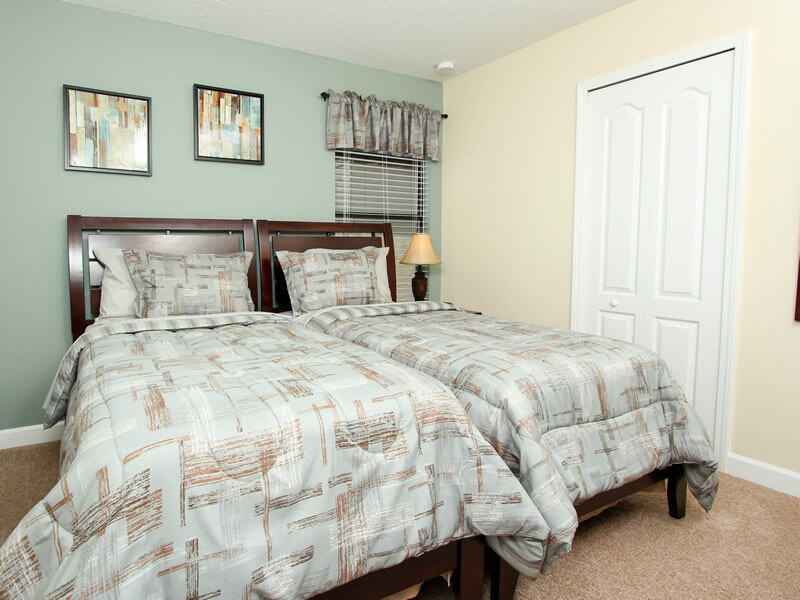 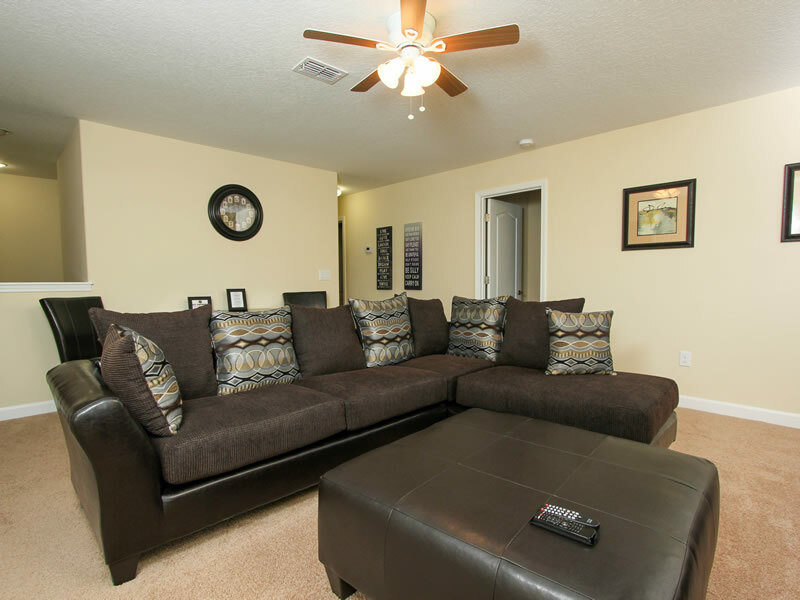 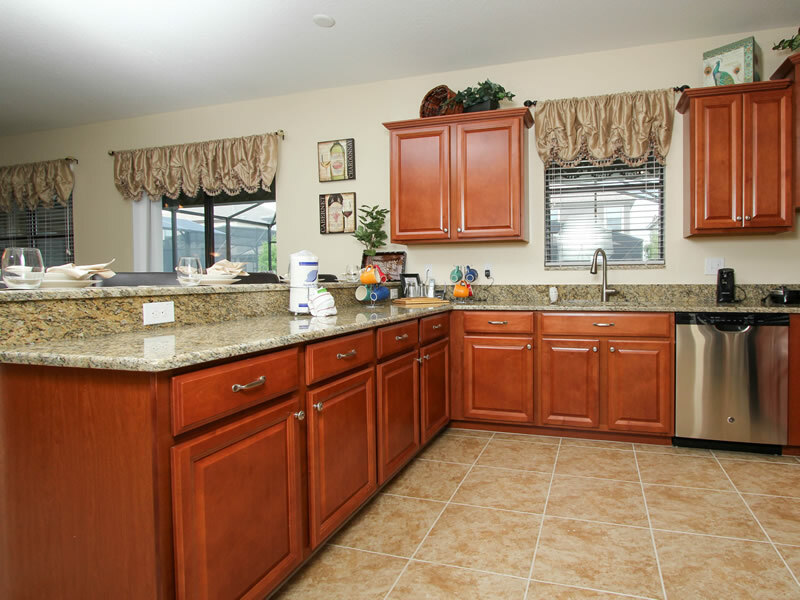 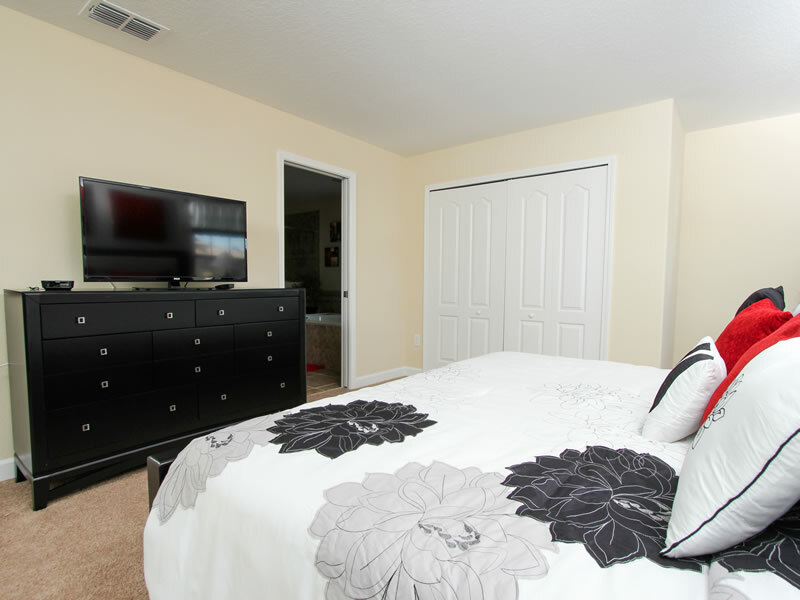 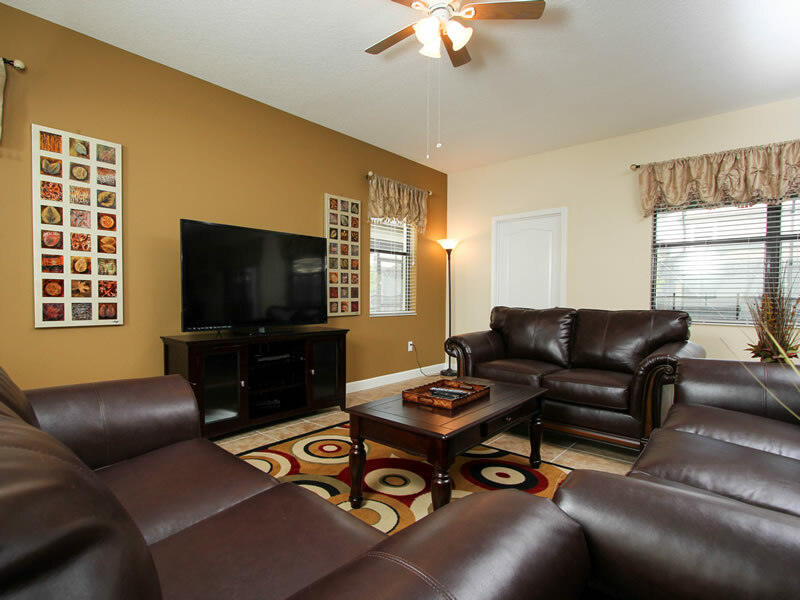 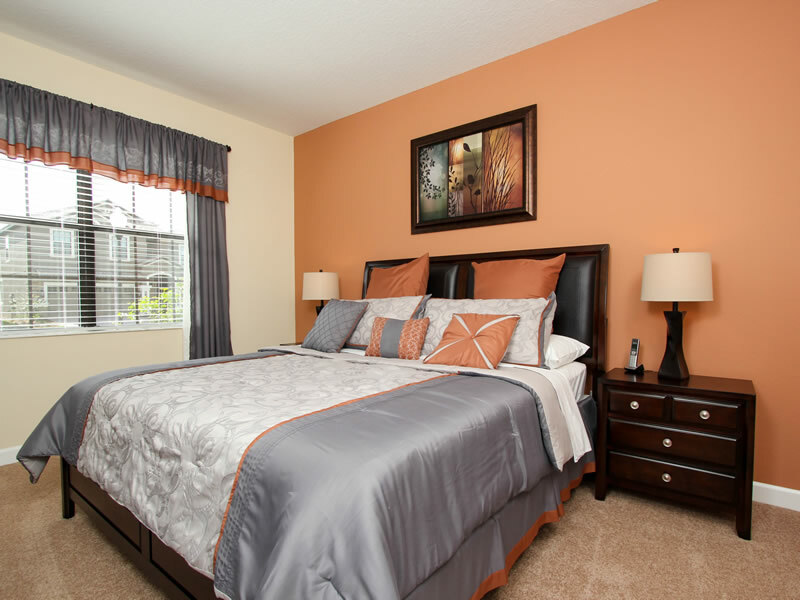 So, on your next trip to Orlando, check out this stunning Champions Gate vacation rental home.